Perry Hall Electrical Experts | Bay State Electric, Inc. In the face of electrical issues in your residence or business in Perry Hall, Maryland, our electricians can be a major lifeline. Electricity can seem finicky, some days it’s working fine and the next day there’s an issue that didn’t come with any warning signs. If you’re not familiar with electrical work it can be difficult to figure out how to fix the problem, let alone determine what the cause of the malfunction is. If you’ve hit a dead end with your electrical system, then reach out. We’ll quickly send over one of our talented electricians in Perry Hall to troubleshoot, so that you can resume normal life. We can also help you with circuit identification. 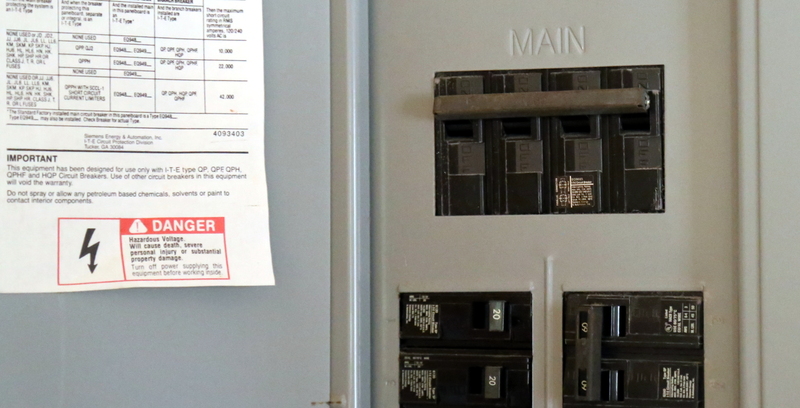 Figuring out a home’s electrical panel can be difficult if you’re not positive which breakers controls which circuits. Our electric technicians can help educate you about your house. Don’t worry, we won’t quiz you at the end or ask you to fix any circuits, but just the fact that you’re more knowledgeable about your circuit panel will help you to feel safer and more in control of an electrical situation. With lack of knowledge, comes uncertainty, which is why if you’re unfamiliar with electrical work we highly recommend you leave any issues up to the professionals. It may be tempting to fiddle around and see if you can stumble upon an answer on your own, but we all know it’s safer and follows Maryland’s Electrical Code when our customers leave that job up to licensed, bonded, insured electricians. If you need help with your circuits, make sure to reach out to us. For your Commercial & Residential electric needs we offer everything from whole house wiring to adding fans, lights, switches, receptacles and security lighting, troubleshooting and maintenance to commercial generators. With the complexity of electrical systems today, you need and deserve the best. Bay State Electric, Inc. hires the most talented Parkville, electrical technicians in the market. We provide them with on-going training, the best tools and equipment, and top-notch support. We realize that we only succeed when our customers are satisfied.